This southern rockhopper penguin is Tussock. She has a yellow and black bracelet on her right wing (which indicates that she's a female) and was born December 6, 2006 at SeaWorld in Orlando. 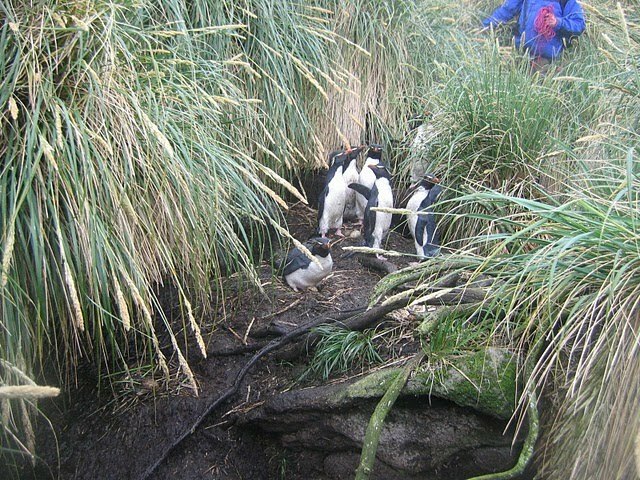 Tussock is named after a type of grass found on many rockhopper breeding islands. Tussock grass, also known as bunch grass, is well suited to harsh environments. Unlike the grass in your front yard, tussock grass is not very pleasant to walk through. It is a tall, hardy grass that grows in dense clumps. Nesting within the grass gives the rockhopper penguins protection from both land and air predators as well as the elements. 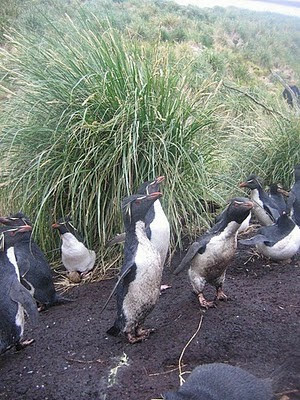 In fact gentoo penguins were once referred to as tussock penguins for their habit of nesting in tussock grass. Take a look at these photos of rockhoppers nesting among the tussock grass taken by Caitlin while she was counting rockhopper penguins on islands off the tip of Chile. 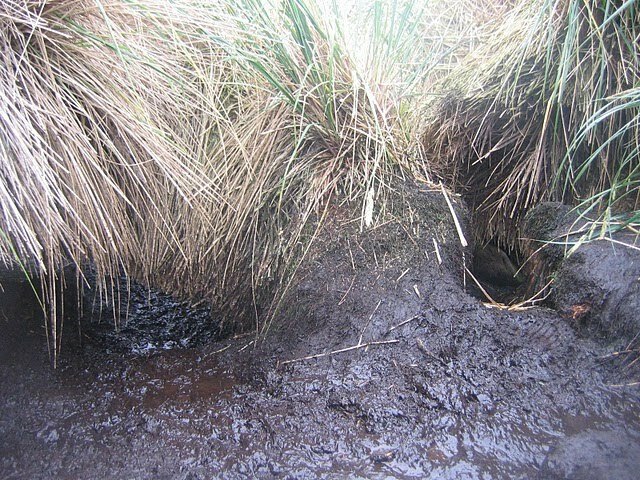 Look closely in this picture and you can see a person standing waist deep in the thick tussock grass. 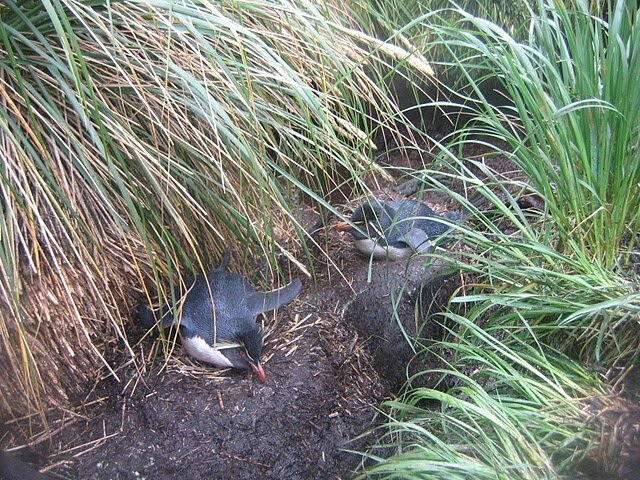 In this photo you can see little paths worn away in the tussock grass from the rockhoppers traveling from the shoreline to their nests. Click here to read more about Caitlin's adventure in South America.